What are fair housing protected classes? Protected classes are designated groups of people and their families who are covered under state and federal fair housing law. In Massachusetts, the protected classes are race, religion, national origin, gender, disability, familial status, marital status, sexual orientation, receipt of public assistance (including Section 8), genetic information, and military status. Are tenant-screening practices, such as CORI, credit checks and references, acceptable under fair housing? Yes, you are allowed to do credit checks, CORI and references requests under fair housing as long as you are using the same practices for protected class members as for other applicants. How does fair housing cover familial status? It is a fair housing violation to deny equal access and opportunity in housing to families with children under the age of 18. For example, a property owner can not deny a family with children under the age of 6 an apartment because it has not been deleaded. It is the responsibility of the property owner to delead the unit for these families and comply with fair housing. What is included under the protection from discrimination based on receiving public assistance? 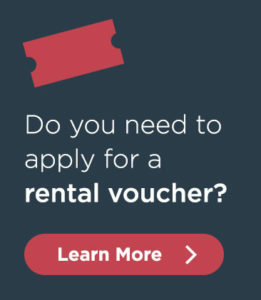 Applicants can not be denied housing because they are receiving public assistance such as rental vouchers (for example Section 8 or MRVP), food stamps, transitional assistance, or veterans benefits, as long as they can demonstrate that they are able to pay the rent. How does fair housing cover military status? Housing can not be denied to a person because he/she currently serves in the military, is in the National Guard, or is a veteran. What is a reasonable accommodation for persons with disabilities? Reasonable accommodations are changes or waivers to polices, practices, procedures or services to allow accessibility and equal opportunity for persons with disabilities. Reasonable accommodations can be denied only when they cause an undue administrative and financial burden or if they change the basic nature of the housing. Common examples of reasonable accommodations may be leases in large print, waiving of a “no pets” policy if someone uses an assistive animal, or request for relocation to a ground-floor unit for someone who has recently become disabled. A reasonable modification is a physical alteration to a unit or common use area to allow a person with a disability greater accessibility and use of the premises. In Massachusetts, if the property is government funded or there are 10 or more or contiguous units, the owner assumes the cost of the reasonable modification. If the housing does not meet either of these conditions, then the person making the reasonable modification request assumes the cost. Is there financial assistance available for owners who must provide reasonable modifications? The state-funded Home Modification Loan Program (HMLP) provides low- and no-interest loans to make modifications to the homes of elders, adults with disabilities, and families with children with disabilities. For further information contact Metro Housing|Boston at (617) 425-6637. Where can I get more information on my responsibilities under fair housing? You can contact the Metro Housing|Boston Fair Housing Manager at (617) 425-6681 for assistance with any questions you may have and provide you with appropriate referrals that would be useful.